The Pride Park Stadium was completed in 1997 and replaced Derby County's previous stadium, the Baseball Ground. It is a terrific stadium outside and in, with the atmosphere generated when the home team scores, something to behold. Much like the new stadiums at Coventry, Reading and Cardiff, 3 sides of the bowl-shaped Pride Park are single tier with an extra level above the Main stand. Views are terrific from all sections. 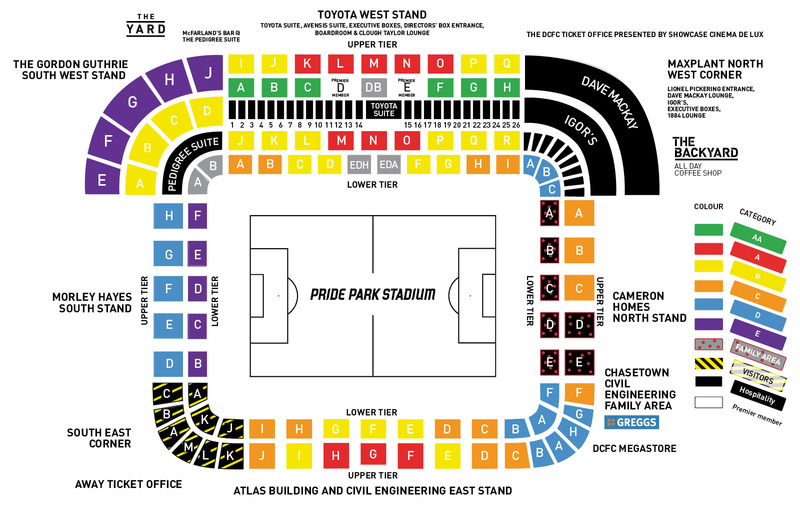 Visiting supporters are situated in the corner between the East and South Stands. General league allocation limit's visiting teams to 2,700 although in excess of 5,500 can be catered for on cup games. The design of the stadium allows for excellent atmospheres and along with the view, facilities and leg room all being excellent, Pride Park makes for a very enjoyable day out. If you arrive by train, turn right as you leave the station and you'll come across a couple of away supporter friendly pubs such as The Brunswick or The Alexandra Hotel. Both serve a wide range of food and drink. Away fans are also very welcome at the pub "Cross Keys.' They offer an array of food and drinks and a very warm welcome is guaranteed. The pub is 20 minutes away from the ground with large car parking facilities. Post code is DE55 1BG. Parking is freely available in local car parks priced between £2 at the cattle market and £6 at the local KFC. There are a few spaces to be had in the surrounding roads however if you're willing to arrive early enough. Be aware of the resident only sections that seem to be popping up every week at present however. 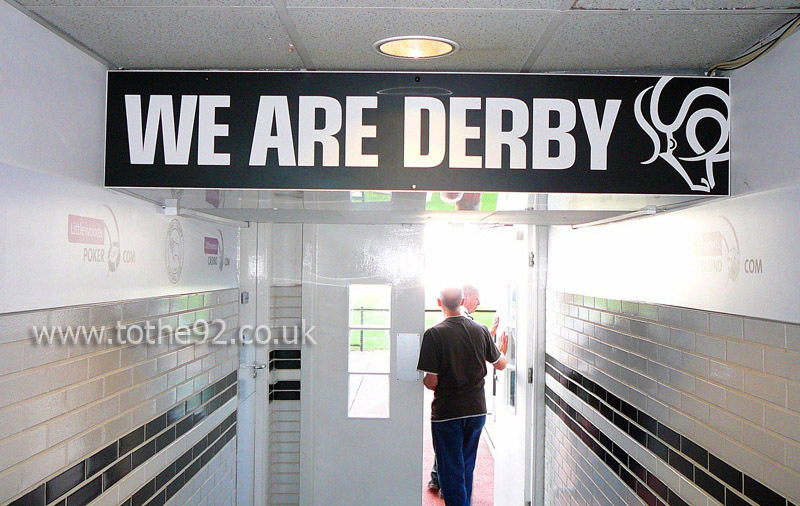 The nearest / closest train station to Derby County's Pride Park is Derby. Pride Park is around 10-15 minutes on foot from Derby railway station, and is clearly signposted. Shuttle buses run from the station on match days and back again afterwards. These also pick up and drop off in Derby city centre. We don't currently have any fans reviews from Derby County's Pride Park. To tell us about your experiences and to feature on the site, simply complete the fans review form below!